Remodeling your house can be an exciting time as you update your surroundings, but it also can be an anxious time given all the decisions you have to make. Of course, we understand that the most “fun” decisions usually occur when you are choosingcountertops, paint colors and light fixtures. But let’s not forget one of the most important parts of a remodel – the plumbing. That’s where Beaverton Plumbing, located near Portland, OR, can be your ally in making sure your project goes smoothly as you decide what your plumbing needs will be. Whether you’re remodeling your kitchen or remodeling your bathroom, it’s vital that your plans either work with the existing plumbing or that you have adequate resources in your budget to handle moving it. That’s why you need an expert who can talk you through the choices and make sure that you end up with the remodeled kitchen or bathroom that you had in mind. Depending on the extent of your remodel, you may choose to hire a general contractor for larger jobs, such as if you plan on changing the layout of your kitchen or bathroom by tearing out walls and relocating fixtures. That’s where we can help by working with them side by side to take care of all the plumbing needs for your remodel. Our trained professionals can provide advice on the most cost-effective ways to get the job done, and expertly handle all phases of your kitchen remodel or upgrade or bathroom remodel or upgrade. We can even help suggest features that will make your life a little more luxurious, such as the convenience of an instant hot water dispenser system or the instant relaxation of a spa-like bathroom. 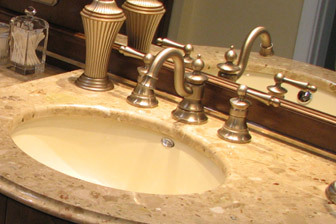 We’ll make sure your new fixtures look as elegant as you had envisioned, but, more importantly, that they are installed correctly to match the quality of the rest of your remodel. Count on BeavertonPlumbing to be a helpful and experienced partner for your kitchen remodel or bathroom remodel – getting it done right – on budget and on time.